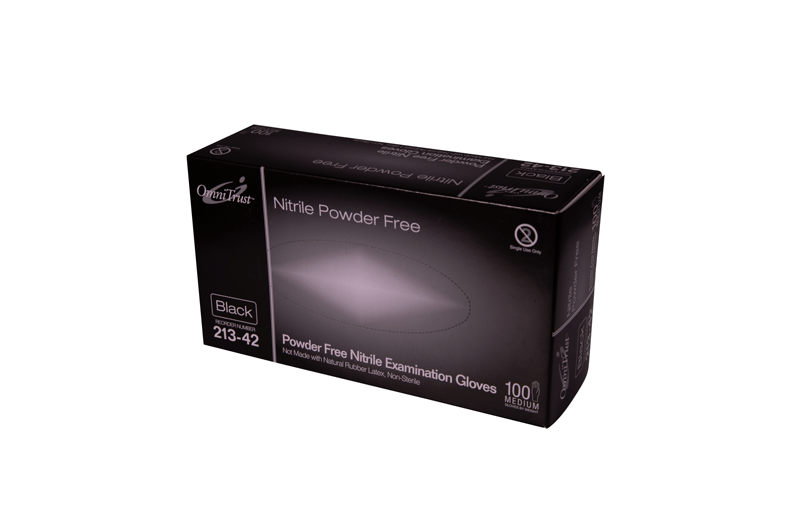 Introducing our OmniTrust™ Black Nitrile Powder Free Medical Examination Gloves. 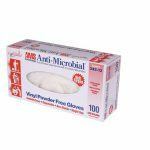 Our OmniTrust™ Black Nitrile Powder Free Medical Examination Glove is an excellent “soft” glove for use in emergency, rescue, police and forensic situations as well as in any other industry beyond healthcare where a black glove is preferred. The #213 Series black nitrile glove is a very strong glove, yet thin enough to provide the necessary touch they need to perform delicate activities. Our #213 Series has a smooth finish with micro-textured fingertips for added grip control without loss of tactile sensitivity. 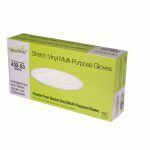 OmniTrust™ Black Nitrile Powder Free Medical Examination Gloves are flat packed for optimum dispensing in sizes small through extra-large.